While some people can make a spur-of-the-moment decision to get a tattoo and instantly know what they want to go get, others prefer to take their time and think about what would be the perfect design. 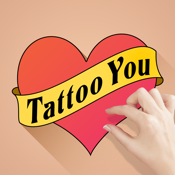 Here’s a list of apps that is dedicated to tattoos, and tattoo artists providing users with ideas and inspiration in the form of images so that you can feel confident in your decision. 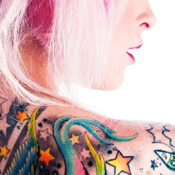 Have you been considering a tattoo but you aren't quite sure you're ready to take the plunge? 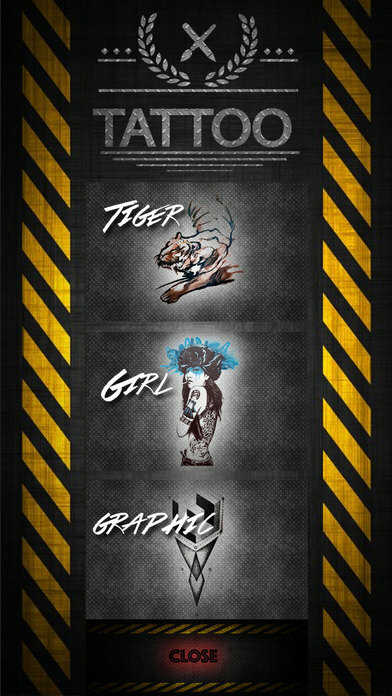 Here's a chance to "try it on" by applying a tattoo to any place on your body in a virtual sense. 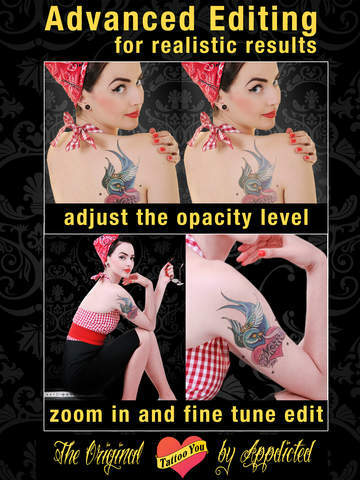 The app features a real-time camera so you can take a photo of yourself, pick the design you want, and apply the tattoo to the area of the body you want. 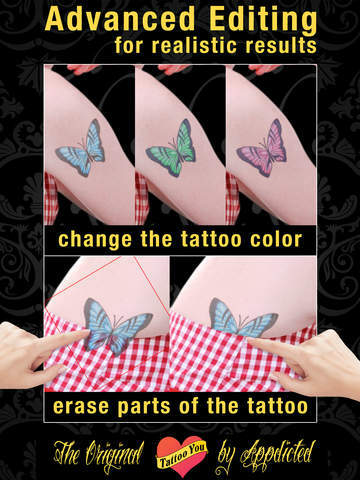 You can customize the tattoo by erasing sections of it, flipping it, applying effects, and even adding text. When you’re happy with the result you can save it to your Photo Album. Okay guys: are you looking to get inked? 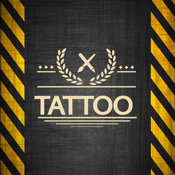 If so you may first want to check out the Tattoos 4 Men app. This app features all kinds of pictures that have been divided up into categories. These designs have been gathered from around the world so you get a wide selection of ideas. 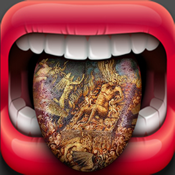 Some of the categories include skull tattoos, love, tribal, words, and more. You can even use these photos as backgrounds and wallpapers. 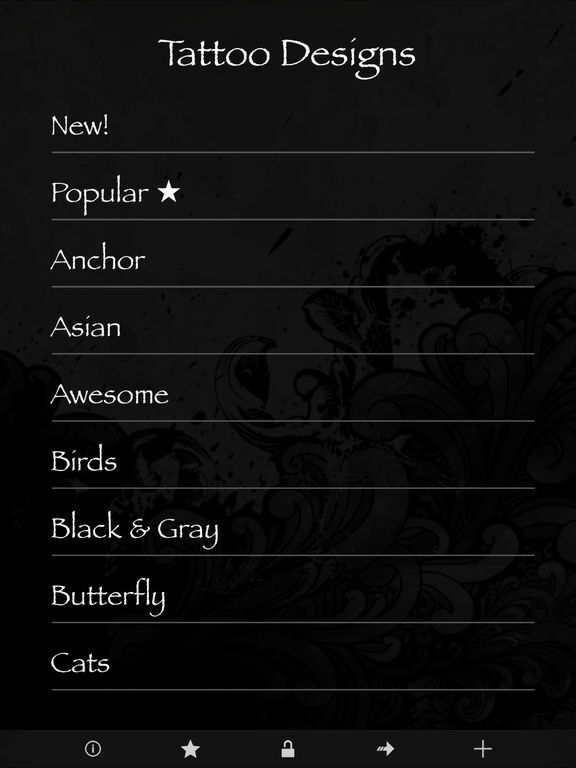 You can mark designs as favorites and share them with others including your tattoo artist. This one is quick and simple to move through thanks to the streamlined design. 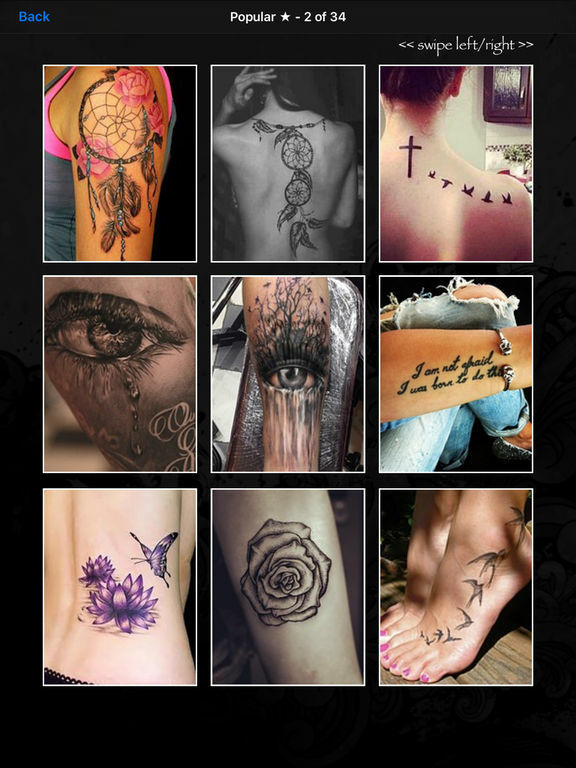 There is no shortage of tattoo designs to be inspired by in the Tattoo Designs App. This one features millions of designs that have been spread out over 180 different categories. The categories are all specialized which means you can move through them that much faster. Find all the most popular and latest designs that you won't find anywhere else. When you find a design that stands out to you go ahead and save it, make edits to it, and even share it through Facebook. The user interface is simple and streamlined to aid in the process. Sure you can spend time going from website to website trying to find the perfect tattoo design or you can cut down on all of that and check out the Tattoo Designs! app. The app features thousands of designs and they are all meant to inspire you. Maybe you’ve got an idea started in your head but just need help with the finishing touches, or perhaps you’re at a total loss and don’t know where to begin. The app allows you to mark designs as favorites and you can share the ones you want to remember. Find a full library of designs and ideas in the Tattoo Designs. app. 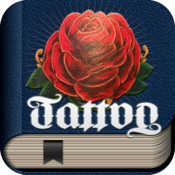 This app is designed for those with a love and appreciation of tattoos looking for ideas for their next tattoo. 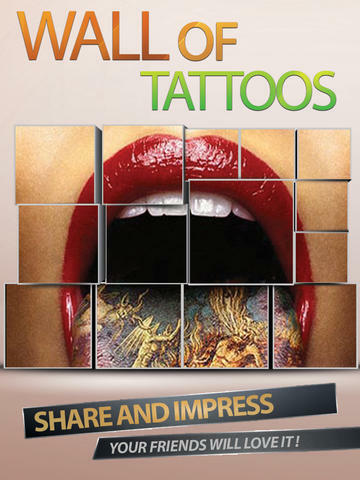 Tattoos can be saved as favorites and you can also share with others. The app is updated on a regular basis so you can always find the latest designs and most popular ones out there. The app couldn’t be any simpler to use and faster to browse. Find tattoos for all different body parts so no matter what you’re looking for you are bound to find it. Deciding you want a tattoo may seem like the hardest part but in fact it's deciding what to get as your tattoo. 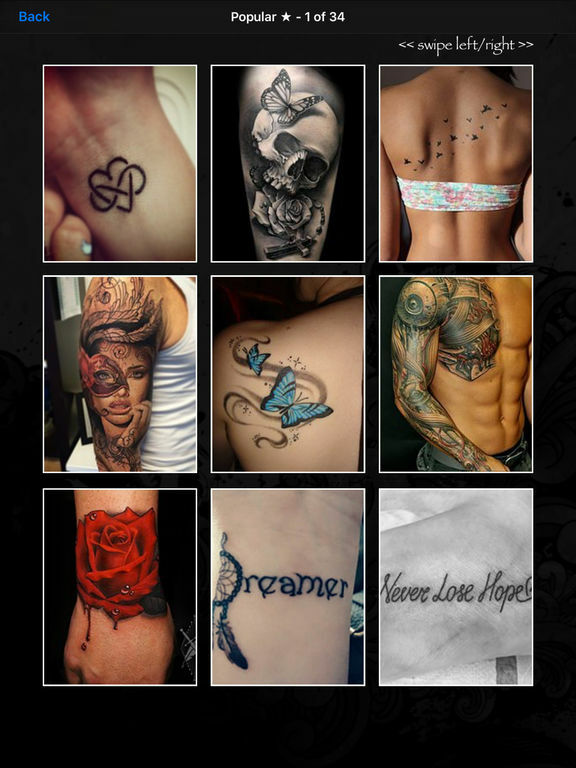 The Tattoos Ideas & Tattoo Designs app is meant to help you find that perfect design that you will be happy with for all the years to come. This is a community of others just like you, looking for ideas and inspiration, as well as sharing your own creations. In this community you can get advice, give advice, and the same goes for ideas. 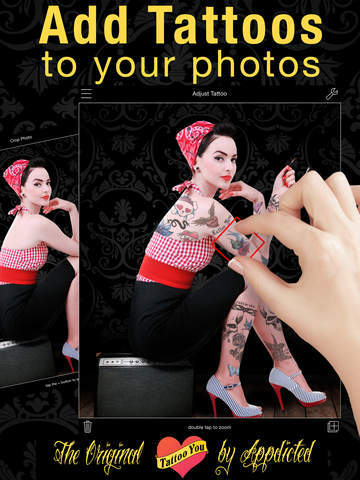 The app allows for you to search with ease, share your favorite tattoos, and even edit photos with cropping, stickers, effects, and filters.